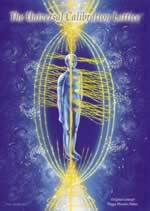 Experience a EMF Balancing Technique Combination session by phone or in person today and strengthen your Universal Calibration Lattice (UCL). (Phase I-II - Wisdom & Emotions & Self Direction and Support, Phase III-IV - Radiate Core Energy & Energetic Accomplishment or Phase I-IV - Wisdom & Emotions & Energetic Accomplishment) by phone or in person today. For your convenience, Visa, MasterCard, Discover, American Express and Diner's Club cards are accepted. For more information, articles and testimonials, visit my website.